The 11th Greatest Song Ever and Boy Is This Song GOOD! What I consider to be the 11th greatest song ever is an amazing song from an amazing time! This song is from my ‘wonder years’ and really takes me back to a time and a place that words defy. I always said God placed me in just the right spot, however, if I could have picked just one other era to be a part of, coming of age in the late 1960’s/ early 1970’s would have been a great runner up! I would have made a great hippie! OH! How I would have loved to have been a part of Woodstock. “The Weight” has been in countless movies. The song is almost an entity in itself and ‘Crazy Chester’, in part, is how my big orange cat got his name. Music is so much more than just putting notes together to make a song. Music is about transcending time and space and taking you back to a place or making you part of a story that is being told. 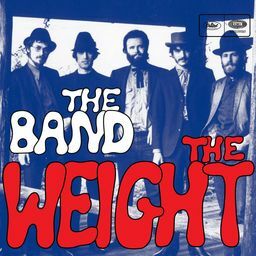 “The Weight” takes me back to those few years in my childhood that actually were good. All the same, no song gets to be on as many soundtracks as “The Weight” as been on unless it is one of the best songs of all time. This post is dedicated to the victims and families of the tragic bombings in Boston. Please know that we stand united and our love and prayers are with you. This is also dedicated …. as the one year anniversary…. to Levon Helm. Your gift of music will live on forever! I present two videos: the first is the band with just the song and a collection of pictures. I tried to get a video at Woodstock but the two I found, both the links were broken. 🙁 The second video is an amazing, powerful and emotional cover version done at The Grammy Awards with a collection of wonderful artists. So enjoy, the 11th best song of all time, “The Weight”. What will the top ten songs be? You will just have to find out! It is not great quality, but it was the only full version I could find. 🙁 Still….. good stuff and Mavis Staples… that woman has SOUL! One Response to The 11th Greatest Song Ever and Boy Is This Song GOOD!